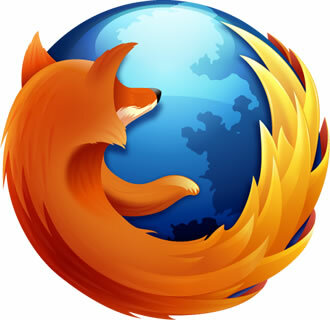 The Mozilla Foundation has revealed that a Metro-specific version of Firefox for Windows 8 is currently in the works and a proof of concept should be ready by Q2 this year. The browser will be based on the open source Gecko layout engine and should fully integrate with the touch-friendly Metro environment. It will feature an Appbar that will house common navigation controls, the Awesomebar, and some form of tabs. Three "snap" states will be supported (full screen, ~1/6th screen and ~5/6th screen), which depend on how the user docks two full screen apps, and information outside of the browser would be shared with other Metro third-party apps through a feature in the upcoming Microsoft OS called Windows 8 'contracts'. In addition, Mozilla says it is also toying with the idea of a live tile for the Start Screen displaying user-centric data. The company reassured users that it will continue supporting the classic Windows interface with updated versions of its desktop client. Though not a lot of information is available on the project right now, it's clear Mozilla doesn't want to be sidelined when Windows 8 tablets roll out with IE10 as the default browser. Microsoft is billing Metro as key to its future, and though traditional desktops and laptops are far from dead, the meteoric rise of touch centric devices such as smartphones and tablets means this market can't be ignored. Since Apple only permits browsers that use its own WebKit browser engine, Mozilla was focusing its efforts on Android, but it doesn't want to limit its options, especially as it continues to lose desktop market share. The news came as part of a larger set of announcements in the company’s roadmap for 2012.